Our team has been serving the Windermere community since 2004 from our shop on Sandpoint Way. We’re located just north of the Children’s Hospital, and our customers find us convenient for many reasons. Out of our five auto repair locations, this one is unique because customers’ vehicles can get premium 76 gasoline. A convenience store is connected to this gas station for customers to find a variety of food and drink items in addition to their tank fill-up. Jeff’s Auto Repair is the repair location that Windermere drivers trust for quality auto repairs. With three service bays, we have enough space in our garage to perform our exceptional automotive repair services. Some of our most popular auto services are oil changes, brake repair, engine and transmission repair, emissions repair, and check engine light diagnosis. Our reputation precedes us, and you can find our trademark auto services at any of our repair locations. Just ask about Jeff’s Auto Repair in Windermere and you’ll discover that we focus on customer satisfaction more than anything. Our team understands that your happiness when you’re driving away from our facility is the only reason to come back to us. That’s the only reason our customers keep coming back. They know that their happiness and complete satisfaction is ultimately all that matters Jeff’s Auto Repair. Come see us today, give us a call, or schedule an appointment online. Your vehicle is like your legs that allow you to “walk” across the entire country or just across town. Either way, don’t take your road trips and daily commutes for granted. We often never miss something until it’s gone, and our automobiles are no different. Drivers will ignore vital maintenance services until it’s too late, and their vehicle is in our full-service auto repair facility. Their vehicle is definitely in the right place, but we know we can do better than performing auto repairs after the fact. Our goal is to make sure you avoid them altogether. We partner with our customers in making sure their vehicles always receive the necessary auto services. We respect your time and your money, and will never provide any services that waste either. Our team is looking forward to making a new friend, servicing a new vehicle, and adding you to our family of customers. Total car care is certainly something that you need, but most of our customers just don’t have the time or the expertise. That’s where we come in! And here’s where you’ll find the phone number to Windermere’s expert auto repair location, 206-523-9192. Let’s schedule an appointment to meet so we can put your vehicle on an appropriate maintenance service plan. 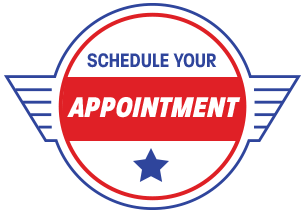 For your convenience, and to cut down on any unnecessary wait time, you can schedule your appointment right now! Just use our online scheduling system, and meet you here for your appointment. Anytime you’re in the area, feel free to just stop by 5450 Sandpoint Way NE in Windermere, Seattle. Some of our best friends are walk-ins!